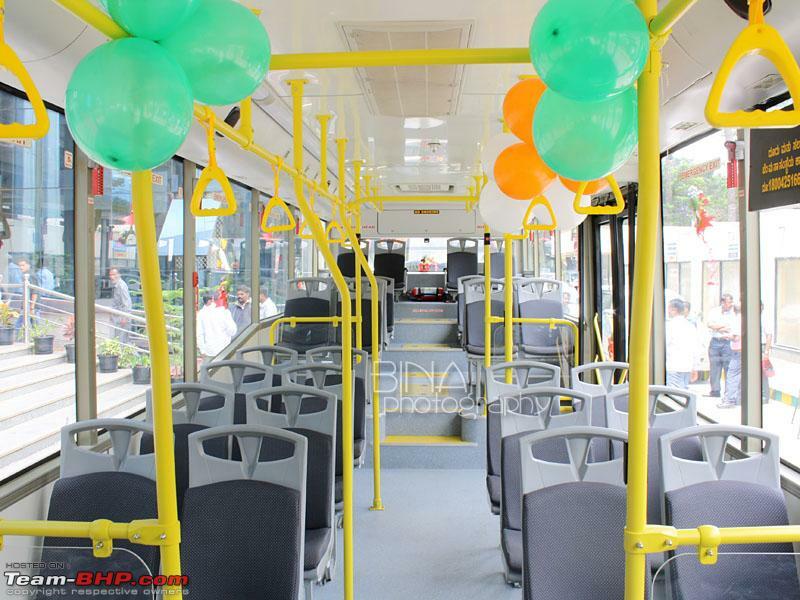 The Bangalore Metropolitan Transport Corporation has begun trials of the new Volvo - UD City buses today. The UD City Buses are 12 Metres in length and can seat 36 passengers. The bus has a semi-low floor (650mm). The bus is powered by an 8-Litre GH8 Turbo-charged intercooled BS-IV engine, that delivers 230hp and 900nM of Torque. The bus has Prakash-Fainsa seats. 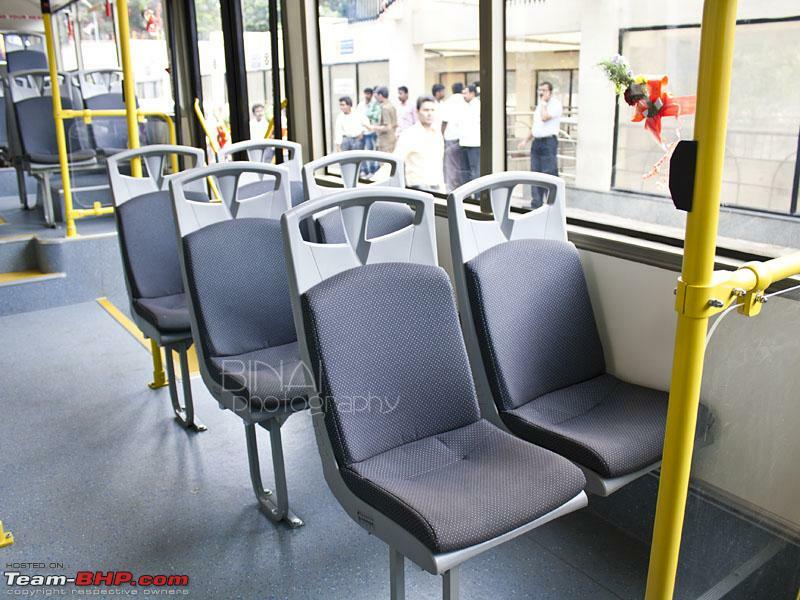 The seating is multi-leveled like all rear-engine buses. The body is currently built by Volvo Buses, at their bus-plant near Hoskote in the outskirts of Bangalore. 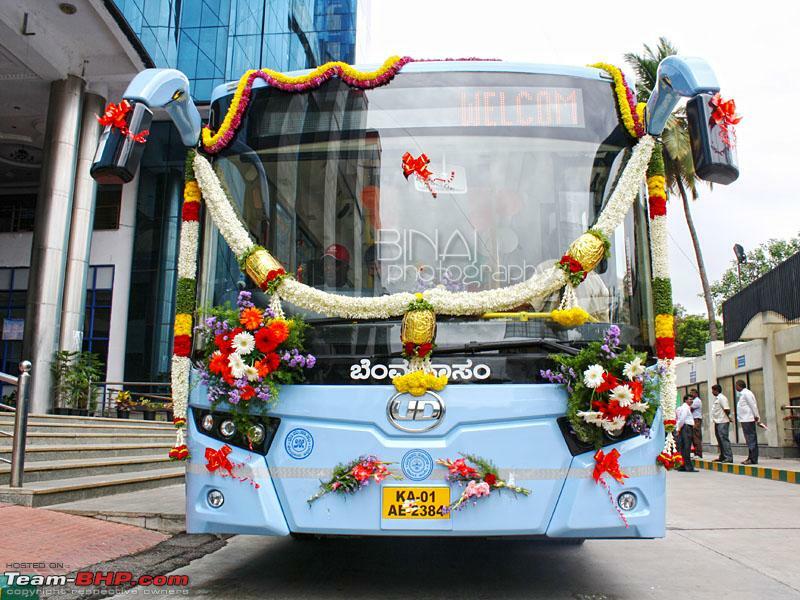 However, the production will be shifted to the new bus plant set-up by Volvo and Prakash Bus Corporation (SM Kannappa Automobiles) near the present factory. The bus has a 6-speed automatic transmission by ZF. The air-conditioning is by Denso. Some pictures of the bus is attached below. 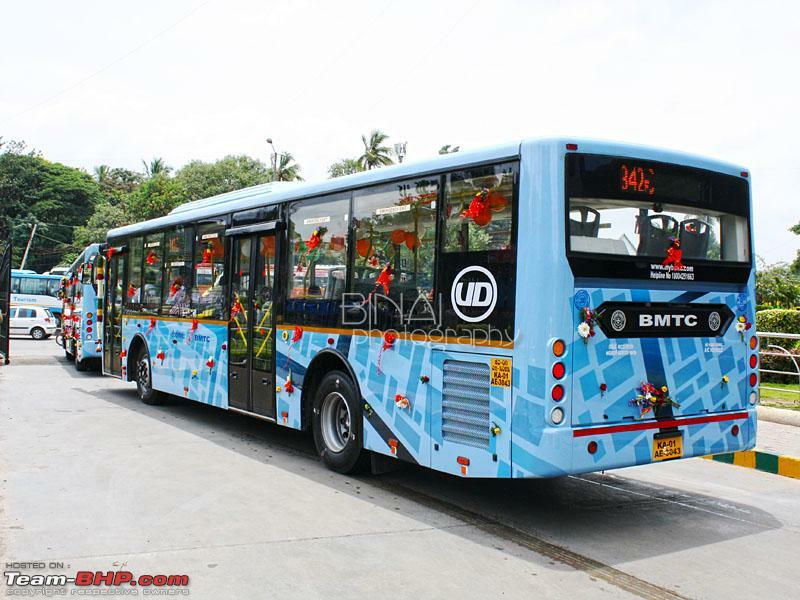 The buses will be on trial with BMTC for two months from today. The bus is running the route 342F, from Kempegowda bus station to Sarjapur, on a trial basis. This route runs almost empty. Running the routes 335E or 500C will be the ultimate test of reliability and will test all parameters. Last edited by msdivy : 23rd June 2015 at 11:26. The bus is running the route 342F, from Kempegowda bus station to Sarjapur, on a trial basis. This route runs almost empty. I saw the bus last evening, on this route. It wasn't empty, but didn't have any standees either. Running the routes 335E or 500C will be the ultimate test of reliability and will test all parameters. The Sarjapur road stretch will be a good test for the suspension components of the bus, so 342F is also not bad Jokes aside, maybe they'll change the route after a while. Last edited by silversteed : 23rd June 2015 at 13:40. It will be better if the seats in the bus have headrests otherwise commuting in the bus for long distances can be a pain. 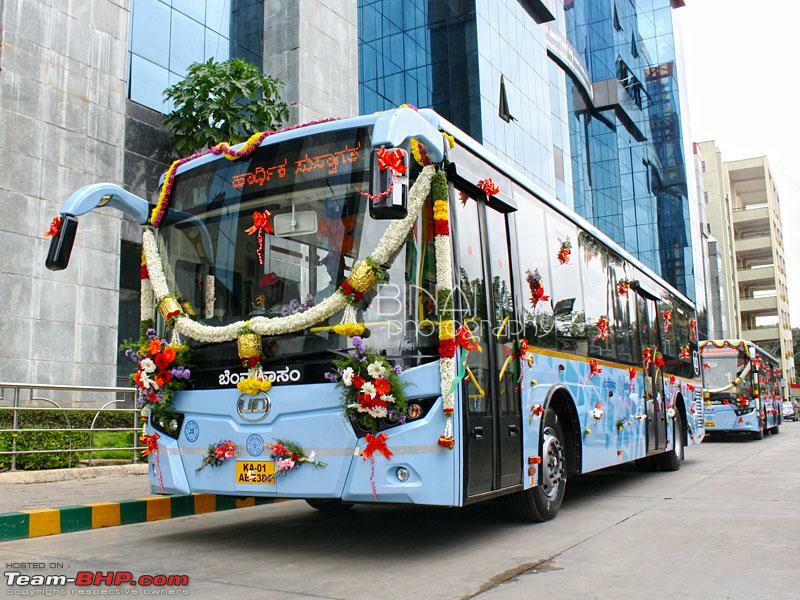 BTW this looks like any other volvo bus that is plying on the bangalore roads. Not able to understand what is special about this bus. I live along that road. Especially in and around that bridge near decathlon, the massive speedbreakers mean this bus's ground clearance is going to receive a severe test. And the road is too narrow and already choked with school buses, office tempo travelers etc for me to even contemplate a bmtc volvo breaking down in the middle of the road. Still - on the occasions that I have to take a train or bus out of bangalore city / majestic, this will come in quite handy. So thanks for letting me know, I've only seen ordinary buses operating this route so far. 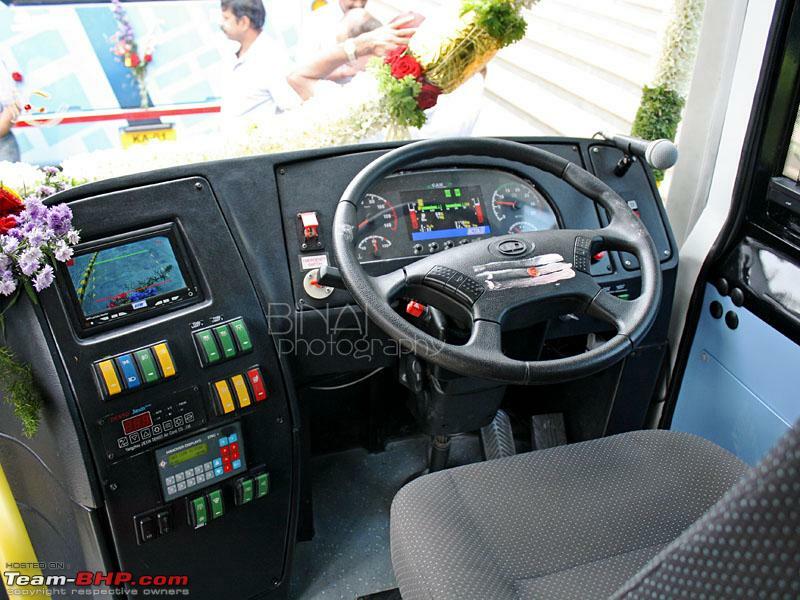 this looks like any other volvo bus that is plying on the bangalore roads. Not able to understand what is special about this bus. Being an SLF, this bus would fare as good or as bad as those Viking-SLF or KMS/Marcopolo built LPO1618c non-AC buses that you already have on that route. +1.. Commuting on Sarjapur Road, especially the stretch from the ORR junction till Wipro is a pain. I stay there too. On your 2nd point, BMTC already has volvos on route 342 (Majestic - Sarjapur or Majestic - Doddakanelli). Not the most frequent but if you are lucky, you can get one. These replaced the smokin Marco Polos. BMTC also plied Volvos on Routes G2B (Kaikondarahalli - MG Road) and 333W (Wipro - Majestic via ORR - Marathahalli) during peak hours but withdrew them due to poor patronage. My wife used to take the G2B and often found less than 10 people in the bus. I guess it's NOT an all air suspension setup? As UD is owned by Volvo Group. Is this the low cost volvo bus. Then its interesting to see what is the difference between the already plying Volvo's and this UD bus. 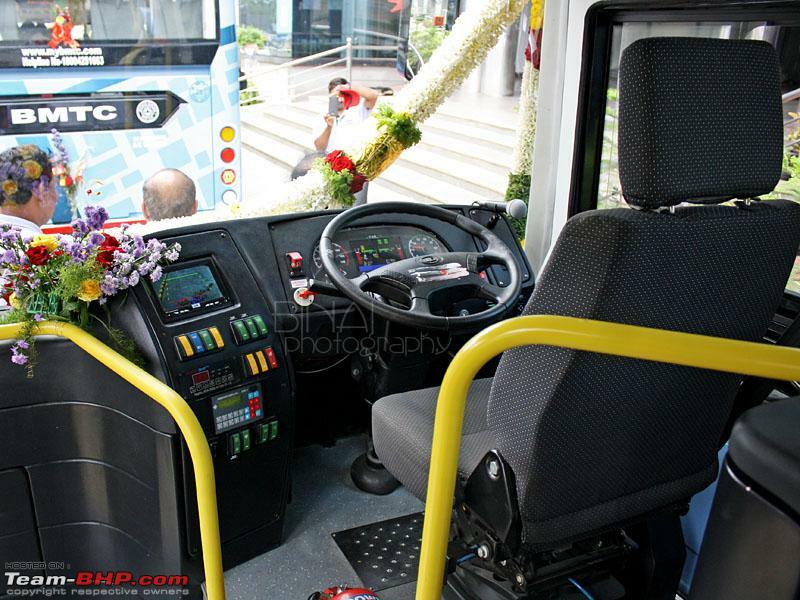 The G2 usually being operated to Majestic seems to be a fairly decent bus by bmtc standards, but not a volvo most times. Excellent vfm for my office commute given it is not too crowded at all - but then the distance to my office from the bus stop means I prefer to drive over anyway instead of a long walk or short auto ride at the end. These buses would definitely be an improvement on the current boneshakers on this route. Last edited by n_aditya : 24th June 2015 at 09:54. Reason: off topic content (tbhp sticker) removed. Please stick to the topic. Thanks! 8400 has a 7 liter engine with 290 hp power. The UD I gather from above is 230 hp but an 8 liter engine. So the UD pumps about 60 HP lower. Forgive my ignorance here, but is the idea behind this SLF being its better suited for bad roads? Maybe a slightly underpowered but cheaper aircon bus for these routes? Upscale apartments etc so there is a demand for aircon, but not enough to route a more expensive and more powerful bus there. I remember seeing a multiaxle Volvo city bus on 335 E route...what became of it ?? Returned to Volvo after a few months of trials. 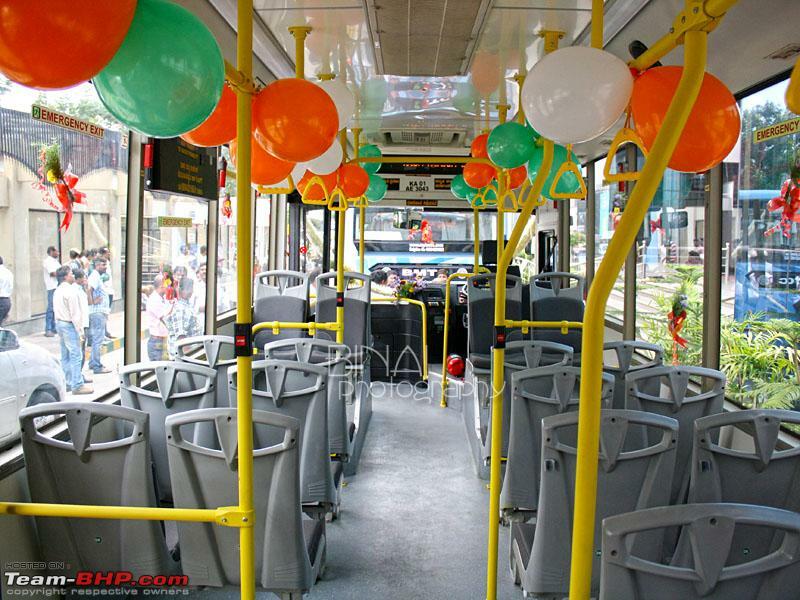 A 14.5M bus wasn't really practical for a city like Bangalore.